Our Dr. Grandma’s Blogs have embraced a Mediterranean-style of eating. It is both very healthy, and yummy. Among other benefits, this style of eating helps those who follow it to avoid cardiovascular heart disease and other risk factors of eating from Foodland (as we call it, alternating with Food Inc). We’ve focused on the prevention aspect of good eating; it’s certainly worth the effort to eat more fruits, vegetables, nuts, beans, legumes, whole grains and fish to reduce the risk of heart disease, cancer, diabetes and other health problems. A new study conveys great news with evidence that Mediterranean-style of eating is worth the effort, even if you’ve already had an acute coronary event. The research, appropriately done in Greece, is reported in the American Journal of Clinical Nutrition. 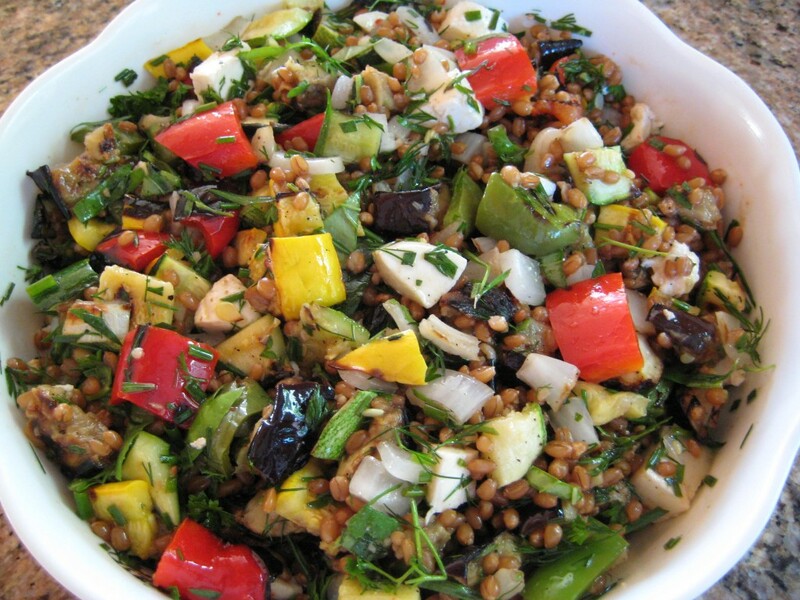 The patients with heart disease were rated on how closely their eating matched the Mediterranean ideal. The patients with diets most closely aligned with the Mediterranean-style diets were at 31 percent lower risk of suffering another heart attack or experiencing chest pain during the first month after they were discharged from the hospital. As compared with those with the least Mediterranean-style eating habits those with the most Med-style habits were 40 percent less likely to experience repeat heart problems within two years. In addition, they found that for every additional point on the 55-point Mediterranean Diet Score survey used in the research, the patient’s risk of having another heart-related event over the next two years fell by 12 percent. The researchers analyzed which components of the Mediterranean-style food groups and found that vegetables, salads, and nuts were the only foods that cut risk. (These are, of course, the results of this study only – but worth knowing, how important these three food groups are.) They found 20 percent lower risk in those that ate the above three food groups daily or weekly as compared with the patients who ate the foods monthly or less often. So don’t skip the vegetables, salads and nuts, whether you’ve had a heart attack or not – it’s not too late to impact your health in a positive way! Another great study provides additional experimental evidence. It uses a twins study, where twins grew up, moved apart, married wives with different cooking styles, and therefore, got more or less of the Mediterranean-style of eating at home. This study was reported in Circulation, a journal of the American Heart Association. This study was based on 276 adult male twins. All of them had a cardiac disability called Reduced heart rate variability (HRV). This is a problem because we all need our hearts to go slower or faster depending on the situation. What was discovered was that those who ate the Mediterranean-style diet had higher variability. That’s pretty cool because it shows that even with the genes that put each twin at a higher risk of cardiovascular disease, eating a Mediterranean-style diet improved their heart function. Jun Dai, the lead researcher said that the system (autonomic nervous system) of the body works without our thinking about it. This system automatically manages our heart rate, and other processes. As it turns, out the autonomic system that regulates heart rate works better in people who eat a Mediterranean-style diet. Using twins allowed Dai and her colleagues to control for genetic and other family influence while assessing the influence of diet. So do not delay! Enjoy the goodness and yumminess of the Mediterranean-style of eating today and every day you can. Many times each of us gets trapped in Foodland, and we have to pick from the processed foods offered. But pick out of what you have available the foods most related to a healthy Mediterranean-style of eating, and enjoy them with gusto. When you can, create your own dishes that fit this style of eating at home. Hope our recipes will speed you on your way to better health and greater enjoyment of eating and living. Dr. Grandpa (official taste tester) said three times while eating this recipe, “This is really special.” The flavors will excite your taste buds! At this time of the year the perennial herbs in our garden are calling to get into our recipes; I feel successful in making that happen. This recipe is about as Mediterranean as it gets; hope you enjoy it as much as we did. If you have cooked frozen wheat berries, remove 2 cups from the freezer. Defrost in the microwave for a minute or two. 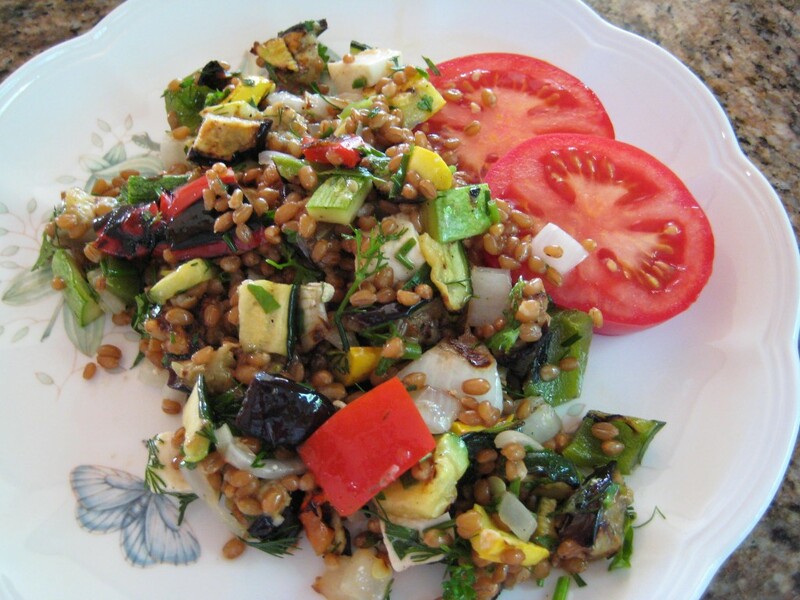 If you don’t have cooked wheat berries, cook 1 and ¼ cup raw wheat berries in 3 cups water for about an hour to 1 ¼ hour, until desired tenderness. Combine all vinaigrette ingredients; set aside at room temperature. 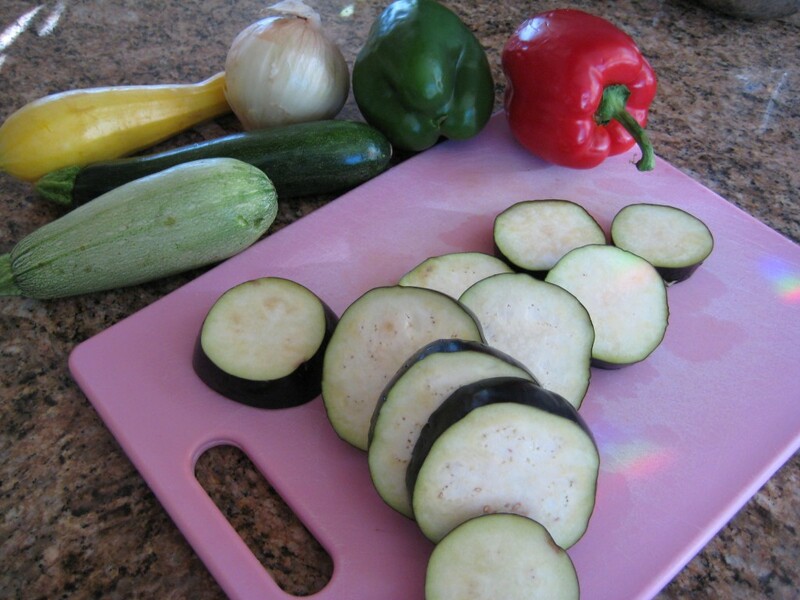 Put a little oil, salt and pepper on the eggplant slices; start them first; they take about 8 minutes. 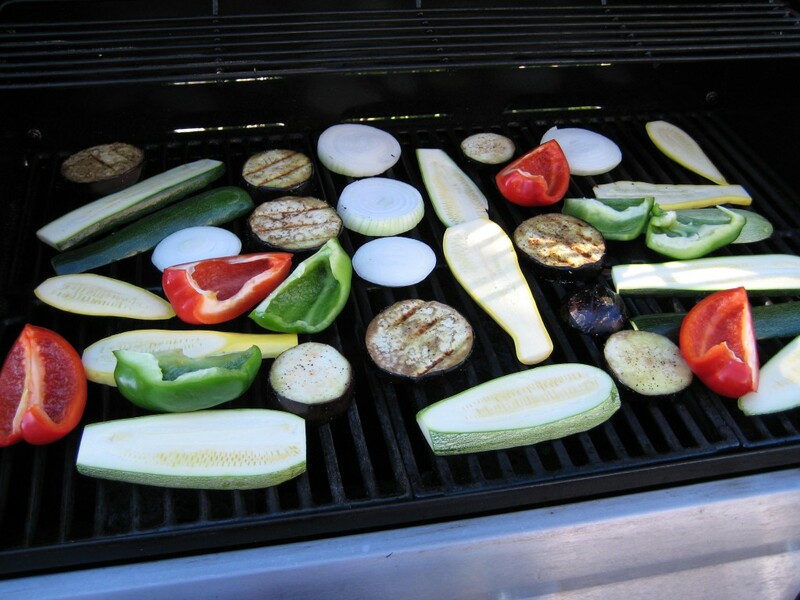 Put the other vegetables on the grill – cook until tender. 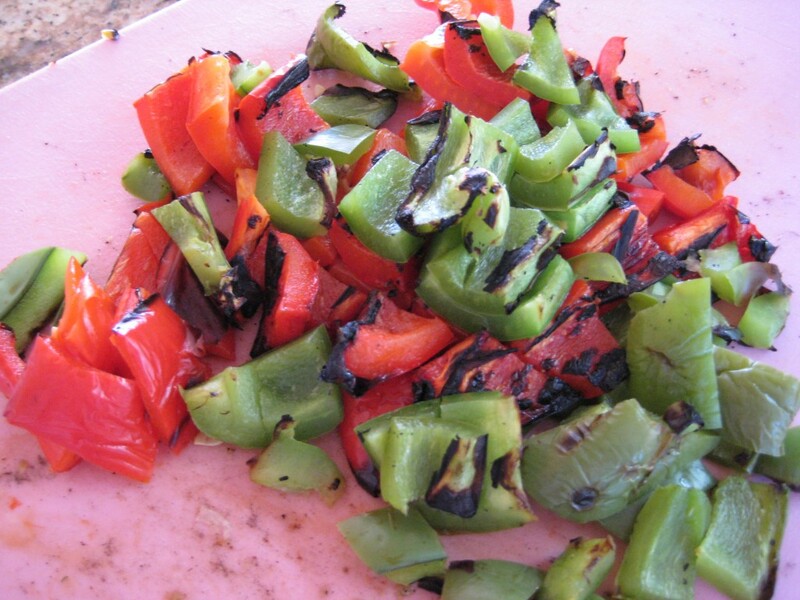 Cut the grilled vegetables into ½ to ¾ inch pieces. Stir all the ingredients together. Serve as a side or main dish. If you want to add fish, shrimp or chicken, there is enough vinaigrette to flavor it. I served with fresh sliced tomatoes. 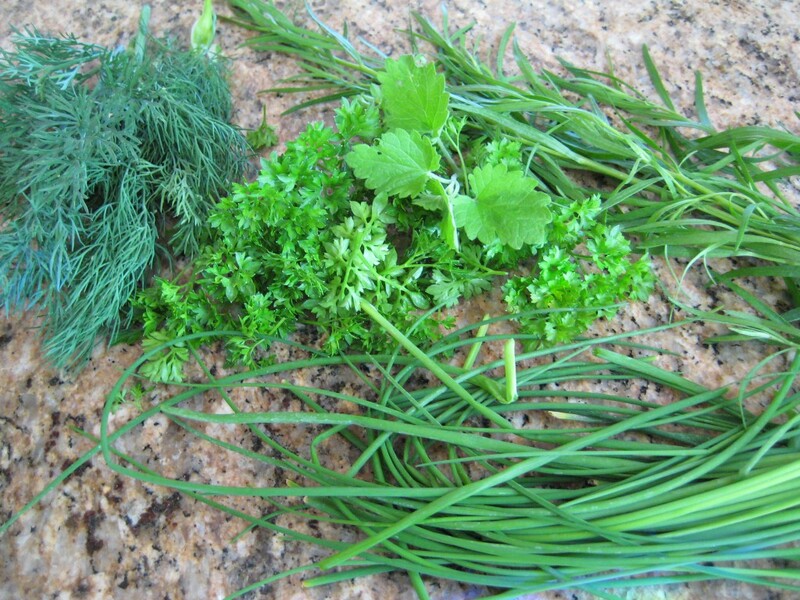 Perennial herbs from my garden. 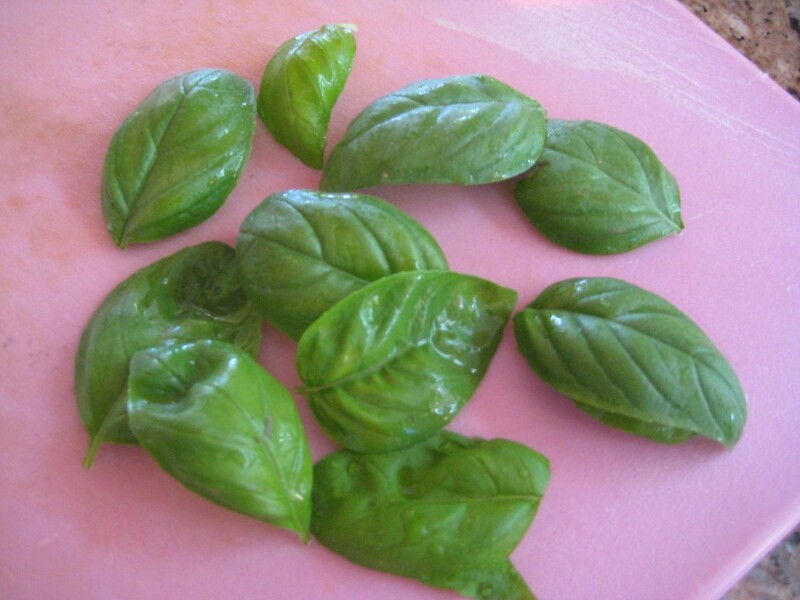 Basil is an annual in the Mountain West. 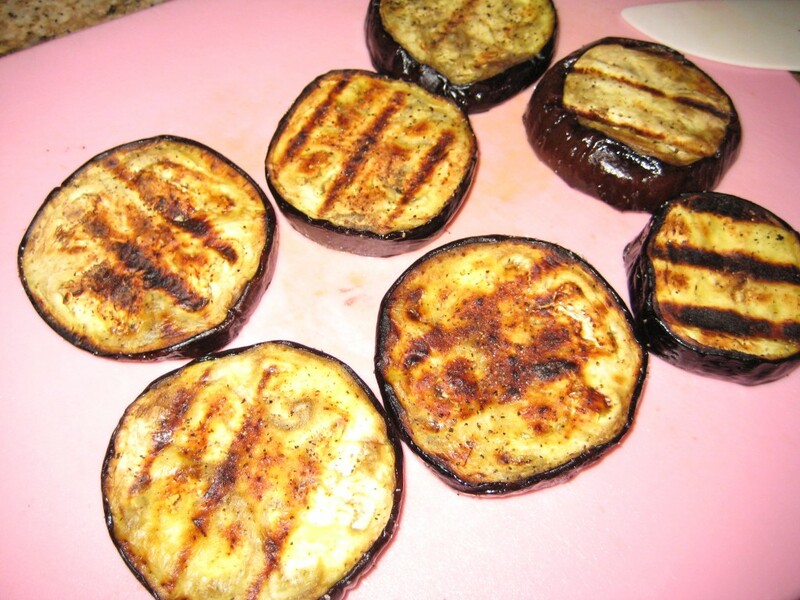 Cut the grilled eggplant slices into bite-sized pieces. 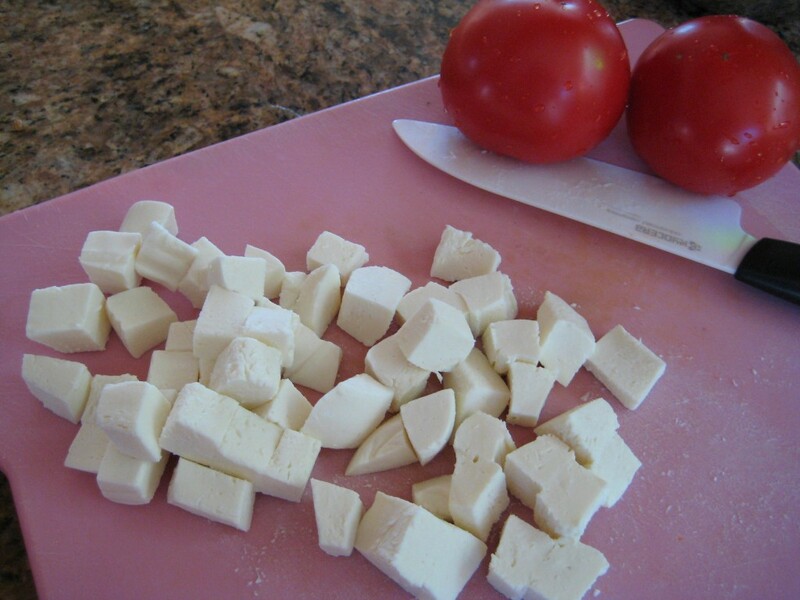 Cut all the remaining vegetables into bite-sized pieces. The result - a very large bowl of delicious salad. A delicious and colorful presentation.